March 23, 2005, The Great Hall, Toronto. Daniel Cockburn plays the virtuoso. 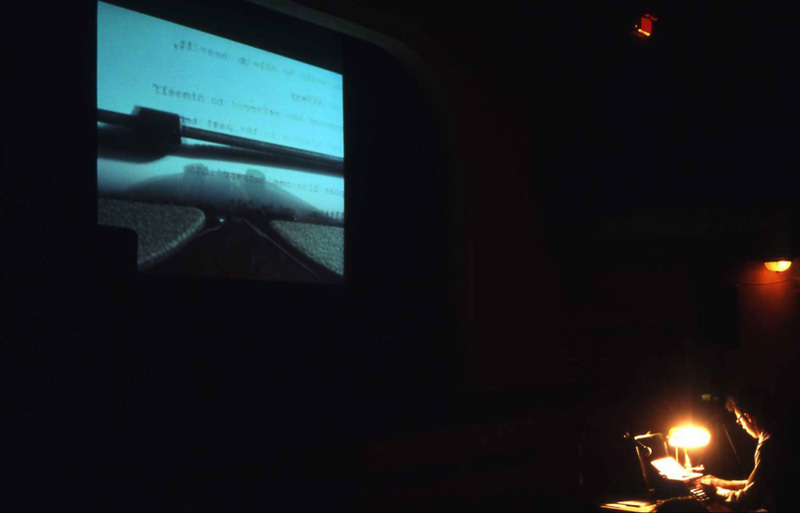 He sits at the front, with a typewriter and a video projector. It’s the classic shot; we can see what he’s typing. He writes the title, he writes the date. He writes cacophony, he writes repetition, he writes rhythm and, to the bells of his machine, he writes music. While the videotape is rewound he readies a new page. He writes, and he repeats. Over loudspeakers we hear ourselves laughing at what are the funny bits, and they’re still funny; we cannot laugh again. Using his chosen machine, physical contact dirties his fingers. We see his hands, nudging the stuck ribbon. At first they’re mistakes that give him pause, but the movement becomes as automatic and regular as work. Camera flashes fill the hall. He writes the credits with confidence, relaxing. He writes his handle, zeroFunction, to the applause of a full house. Cockburn has been making monologues since 1999. His acting is disconcerting in its honesty and familiarity, non-emotive to intense emotional effect. In The Imposter (2004) he uses cyclical dialogue and a self-referential structure to express a dream, a collection of mass tears. Presented by Fado Performance Inc. and MOCCA, curator Alissa Firth-Eagland asked video artists to step from behind the camera onto a live stage. “I know that it’s got a high level of artifice, but now I realize that I can’t remember whether it’s based on an actual dream I had, or whether I made it up entirely,” says Cockburn. Brian Joseph Davis plays the market researcher. In We Are Made Of Stars (2004) people are interviewed, performing their celebrity resemblances. 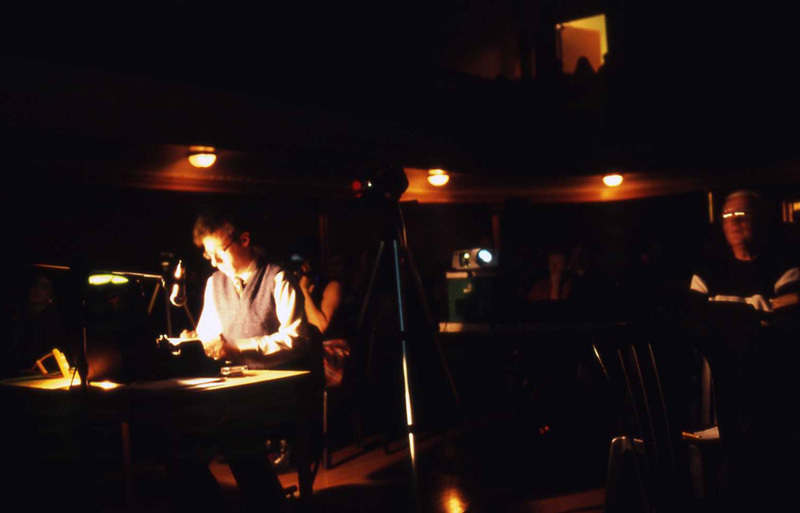 His performance takes place in the front room where he sits with a computer, tabulating audience surveys. We are promised a report, and some even get paid. Benny Nemerofsky Ramsay plays the diva. In Live To Tell (2002) he looks up at a security camera and sings every part of a complex harmony, simple dance gestures fluttering across a 16 frame grid. His voice fills the hall in a beautiful, crystal clear audio mix. At the finale, he sings on the balcony above us, calling our eyes upward.